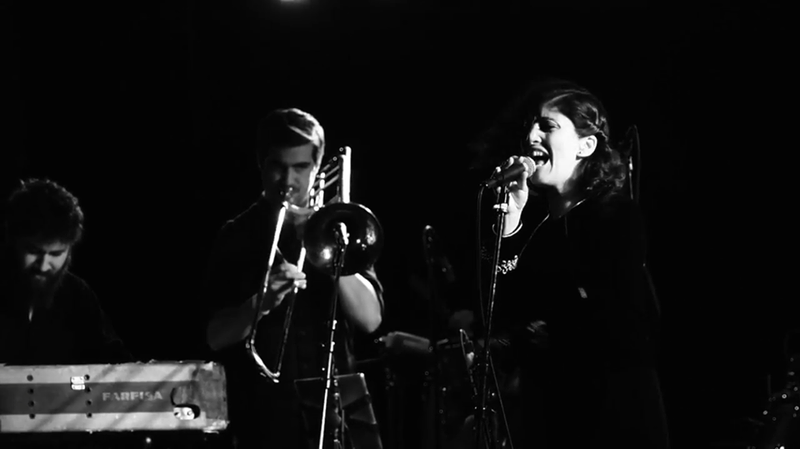 Alba + The Mighty Lions is a Brooklyn-based Latin Psychedelic Soul band fronted by singer/songwriter, Alba Ponce de León, and comprised of members from The Budos Band, Ikebe Shakedown, Charles Bradley, Naomi Shelton & The Gospel Queens and more. The group performs regularly around New York City, and their videos and songs can all be streamed at albaponcedeleon.com/albasmightylions. Recently, their cover of David Bowie's Space Oddity was featured on Gimlet Media's podcast, The Habitat. Alba +The Mighty Lions is releasing a 45' this summer on the boutique label, Names You Can Trust (@NYCTrust). Follow @albasmightylions on Instagram for more news from the band!